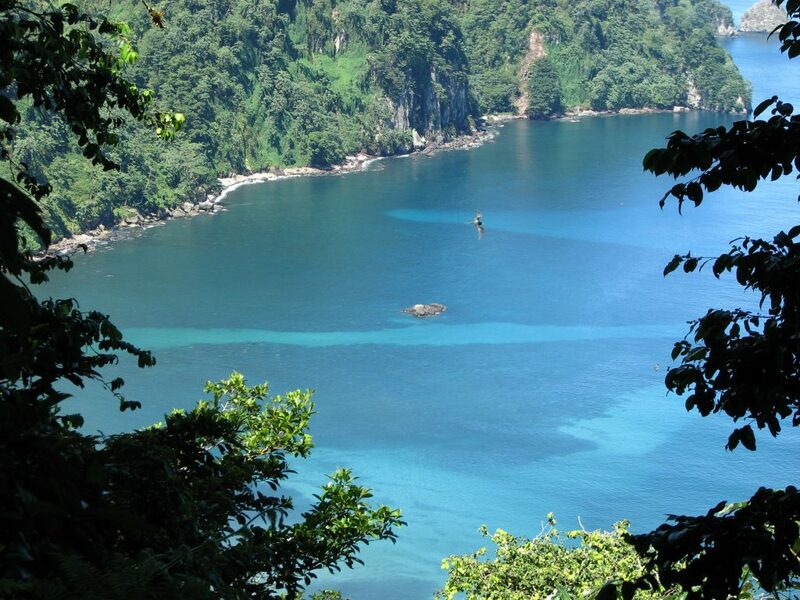 • Cocos Island was declared a national park in 1978 and natural World Heritage in 1997. • The park contains the greatest number of endemic species in the country. San José, Costa Rica, 8 February 2019. The Minister of Environment and Energy Carlos Manuel Rodriguez signed a cooperative agreement for the ecological restoration of Cocos Island National Park. The agreement signed by the Ministry of Environment and Energy (MINAE in Spanish), Island Conservation, and Forever Costa Rica Association (FCRA) will also support activities in management, scientific research, planning, and communication. 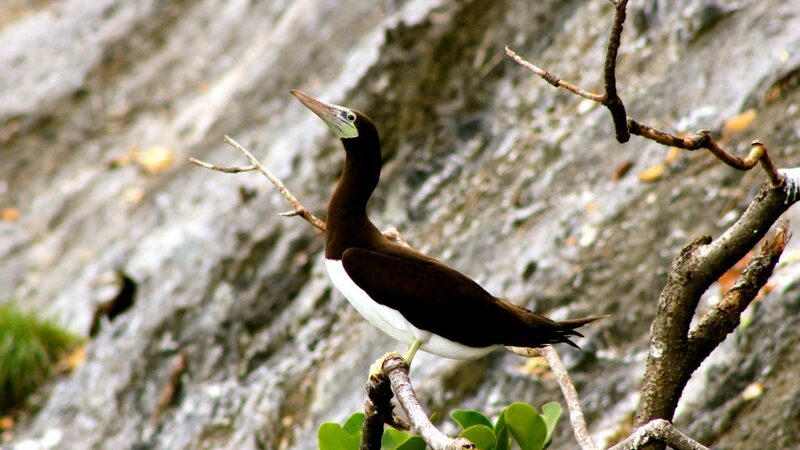 Brown Booby on Cocos Island. With this agreement, we are building on various protection initiatives launched by this administration. We hope to develop these environmental conservation efforts in an integrated fashion. 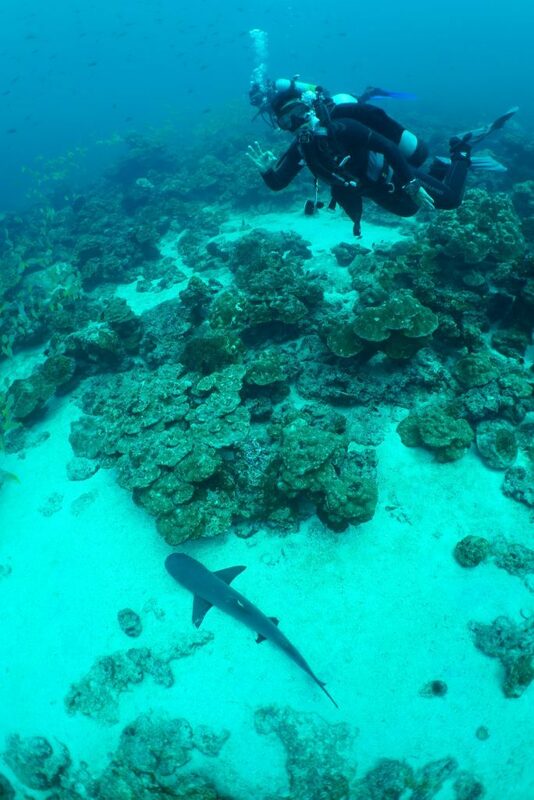 Cocos Island is a unique global treasure and we have to protect it in perpetuity,” said Rodriguez. He further explained that all these management processes are carried out in close concert with park rangers and other collaborators who tirelessly work for the health and security of the island. He reiterated the Ministry’s commitment that they enjoy favorable conditions to carry out their duties. The island is unique thanks to its geographic location, geological history, as well as oceanographic and climatic conditions. It is also part of the Eastern Tropical Pacific Marine Corridor (CMAR in Spanish), a key area for marine and climatic research. The park is home to healthy and resilient coral reefs and is the only island in the Eastern Pacific with humid tropical forest. Besides, migratory marine species also converge around the island during part of the year to feed and reproduce, making the park a key site to conserve marine life. Signing this agreement is very important for us since we will continue different development processes on the island that we have been supporting since 2010, such as updating the general management plan, the research plan, and the communications strategy, among others, all of which contribute to maintaining the ecological integrity of this exceptional marine ecosystem,” affirmed Zdenka Piskulich, FCRA’s Executive Director. Through this agreement, participating organizations will also support fundraising for restoration, as well as seek new allies who can offer technical assistance during the implementation phase. For example, initially FCRA will contribute $20,000 to develop a communications strategy for the general public and to create a fundraising strategy. Island Conservation works worldwide to eradicate invasive species and avoid native species extinctions. It has restored 63 islands, benefitting 1,173 populations of 468 species and subspecies. This agreement will allow Cocos Island National Park to take advantage of Island Conservation’s many lessons learned and best practices applied across its project portfolio. For Island Conservation this is a unique opportunity to support the management and conservation of Cocos Island and collaborate with the Costa Rican government, given the park’s importance as World Heritage and home to significant biodiversity. We are sure that by uniting the forces of MINAE with those of both NGOs, we can achieve complete restoration of the island,” said Eliécer Cruz, South American manager for Island Conservation. Cocos Island has 270 fish and other pelagic (open water) species including four species of turtle and 14 shark species. The Island also has 149 bird species and no native terrestrial mammals. The five mammal species that do reside there, such as the black rat, white-tailed deer, and pig were all introduced and threaten native biodiversity. A private, non-profit environmental fund created in 2010 to conserve in perpetuity marine and terrestrial ecosystems through fund management and alliances with governments, privat sector and civil society organizations. A non-profit organization that supports insular biodiversity conservation actions executed by Governments through the design and implementation of ecological restoration projects.